Spending time with the Holy Land’s “living stones” | Walk with us! On May 14 Fr. Tim Gray, SCJ posted a piece about his April visit to the Holy Land. Here, he shares further impressions of his trip. Click here to read the original entry. My first note about the Holy Land could have been written after almost any religious pilgrimage. However, the group I traveled with had another specific purpose. In the words of Fr. Alex, it was not only to visit churches and sites, but to spend time with the “living stones,” the Arab Christians, both Catholic and Orthodox, who are the descendents of the original Christian communities of the first century. Of course, it would take books to describe the social, political, religious and military history of this part of the world. It is such a tragedy that war and religion have always been linked here. Judaism entered with a military conquest of the land in the 13th century BC. Islam entered with a military conquest in the 7th century AD. Christianity, which had been present since its founding in the first century, was superimposed in a European militant form by the Crusaders in the 12th century. Islam once again became dominant after the re-conquest by the Turks in the 14th century. In our own era, Judaism has been reestablished in a European form by military conquest. The reason why the sacred sites are composed of layers of churches and shrines one on top of the other is because conquests often resulted in wholesale destruction. Because the media tends to present the situation in the Middle East as a two-sided conflict, the Palestinian Christians are usually forgotten. As Palestinians, many of them were driven off their land when the state of Israel was created and they continue to suffer from the consequences. As Christians, they are a minority in a heavily Muslim area. What we personally experienced during our visit to a Catholic community near Bethlehem was a small example of this situation. 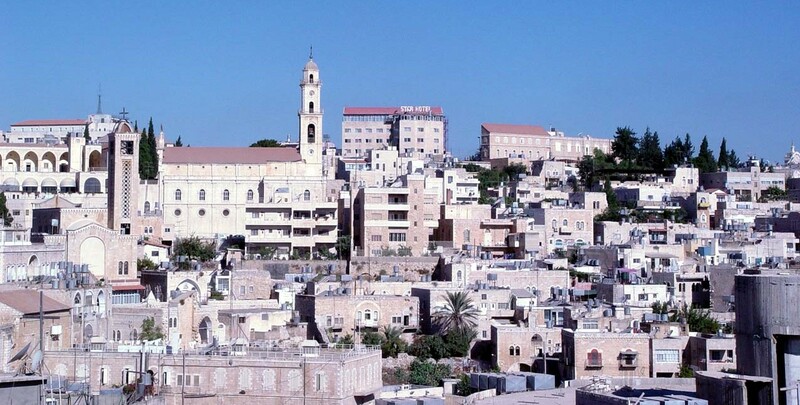 Bethlehem is one of the few areas where Christians make up a considerable size of the community. After touring the ancient sites, the field of the angels and the Church of the Nativity, we met with the pastor of the local Catholic Church who explained to us some of the history and the present situation of the Catholic community. Those of us pilgrims who chose to stay were put up overnight with local families so they would have an opportunity to talk and share a bit of their daily life. The priests in our group (four of us) stayed with Fr. Fawid, the pastor. It was fascinating to me how his life reflected both the ordinary responsibilities of a parish pastor, and the tensions created by the political and social situation. After welcoming us, he kept being interrupted by visitors and phone calls until about 10 p.m., when we finally had some time to talk. He described his efforts to draw attention to the plight of his people, both by visits and correspondence with Church officials, and attendance at conferences. The next morning we attended the Sunday parish Mass, in Arabic of course. I was fascinated by the music. Since this community, like Catholics around the world, had to find music in their own vernacular tongue after Vatican II, they adopted a mixture of music, some drawn from local culture, other songs to melodies familiar to me from the U.S. and Mexico. In his parish, Fr. Fawid likes to play popular Christian music (most of it from Lebanon) at high volume on speakers around the church compound as a response to the equally loud calls to prayer from the mosque next door. After the Mass, Father announced that he was going to bless a home and invited us along. It is customary to bless a home three times; once when the foundation is laid, once when the roof is completed, and a third time when it is ready to be moved into. This time we were blessing the roof. We arrived at the house, to the sound of a large cement mixer sending the cement up to where it was being poured into the forms on the roof. Since there was no ladder, we scrambled up piles of rubble to a partially completed staircase up the side of the house. Fr. Fawid walked all over the roof, between the workers pouring concrete, sprinkling holy water liberally all over the roof. In the midst of so much history and conflict, life goes on. We could see how “life goes on” in a much different sense when we went to visit “the wall” which is being built to separate Israel and protect it from terrorist attacks. While in this report I am not going to enter into the discussion about whether Israel has a right to protect itself, this particular 30-foot-tall concrete barrier we saw was built to protect new Israeli settlements. These settlements are new Israeli towns built in Palestinian areas, on land taken from Palestinians, with walls to protect them. This particular wall runs right through Bethlehem, past city streets and houses, and reminds me very much of the Berlin Wall. It separates people from relatives, from their farms, and places of work, in effect putting them in different countries. While the main purpose of our trip was not political education or action, what we learned by visiting the real Arab Christians is that they are caught in the middle of this conflict. The Christian population of Palestine has dropped from eight percent in 1947 to TWO percent at present, and the only future most of the young people see is emigration. The history of past conquests is being repeated in our day. The next day we had an audience with the Patriarch of the Catholic Church, in the Middle East, Patriarch Fuad. Quick lesson: the Catholic Church is composed of 16 different rites, one of which is the Latin Rite, presided over by the pope, whose other name is the Patriarch of the West. Ninety-five percent of Catholics worldwide belong to the Latin Rite. Each of the other rites has its own patriarch, who presides over the churches of that rite. They acknowledge the Pope as “first among equals” and head of the whole Church. On the other hand, Orthodox rites look at the pope as one patriarch among many and so do not submit to his authority, so they are not part of the Catholic Church. The patriarch was a wonderful, kind, very spiritual man who also described the situation of the Church. The one comment he made, in response to a question about evangelization and the RCIA, that left a deep impression on me was the fact that he felt that evangelization of Muslims is impractical. A Muslim who converted would be ostracized by his or her family and community, he told us. As he said this, I realized that the social and religious world these people live in is what we in the West experienced hundreds of years ago – where isolation and excommunication were the most effective way to keep intact boundaries between people. So the Christian community in the Holy Land is in reality dying out – not through violence or overt persecution, but by being marginalized and caught in a much larger conflict. It seems that its main role is to remain faithful. So these are some of my impressions of my visit to the place we call the Holy Land – holy for three of the world’s great religions, and fought over as well. While I experienced much during those two weeks, it shook me up and made me think and pray a lot more. I now hear the news about what is happening in that part of the world from a different perspective. 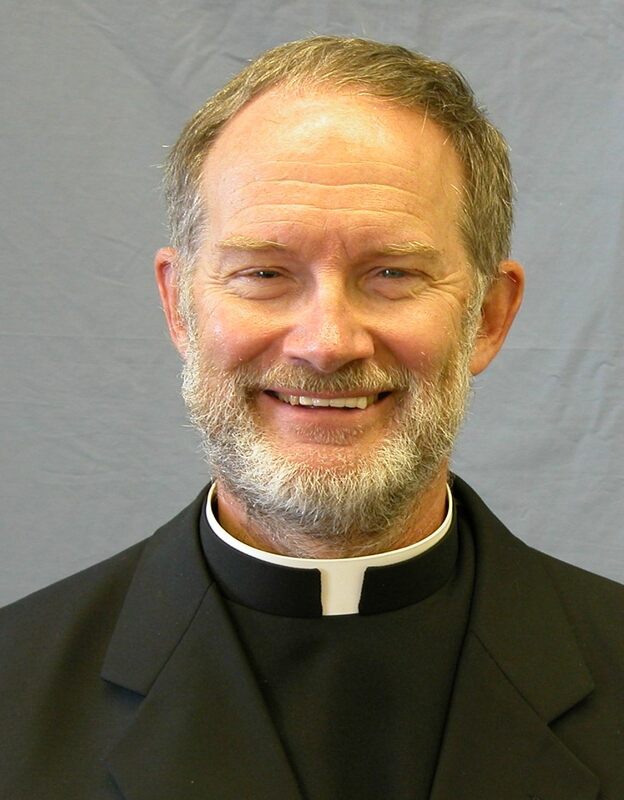 Thank you again Father Tim ! !